» Cinderella. A glitzy, fabulous rendition of the renowned fairy tale. 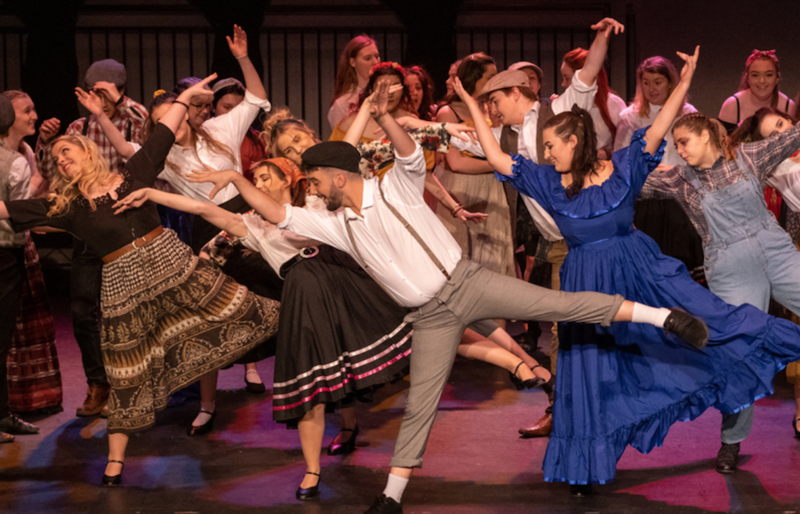 The University of Portsmouth’s Dramatic and Musical Society proves to us that dreams can come true. Bethan Roscoe dazzled audiences with a stylish, high-spirited take on the classic fairy tale, Cinderella. The play followed the rags to riches storyline. After losing her mother and father, Cinderella becomes a slave in her own home. Her wicked stepmother forces her to do lowly tasks. But all things change when she hears about the prince’s ball. In excitement, she does whatever she can to attend the ball. From pleasing the stepmother to fixing her mother’s ballgown. But will she make it to the ball? Will her dreams come true? The cast were very memorable. The sassy Fairy Godmother (Molly Brickley-Clark), who saves Cinderella’s night with the flick of her magic wand. Matilda Andrews shone in her debut as the eponymous heroine. She starts off as the scullery maid, before transforming into the beautiful swan. Many of the young actors added wit and sparkle. The stepmother (Georgie Gibbons) was wickedly funny, a delight to watch. Bianca Rayne and Sara Shuhaiber stole the show as the obnoxious stepsisters. Colin Jagger’s orchestrated, versatile score was the show’s highpoint. Pieces included tear-jerking ballads (In my Corner) and upbeat songs (The Prince is Giving a Ball and It’s Possible). The elaborate costumes brought the characters to life on the stage. Cinderella’s ballgown particularly notable. Once again, the Dramatic and Musical Society performed a marvellous hit. Talented actors, a superb orchestra and hilarious one-liners. Cinderella leaves us mesmerised and longing for more. Look out for further University’s productions.